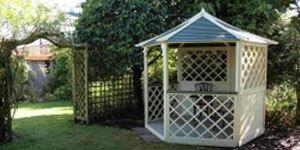 The arbour has just arrived! Perfect timing for us today. 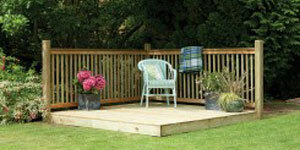 I am delighted with the service we have received and would not hesitate to recommend Jacks to family and friends. Thank you again for your customer care. First of all let me say that the service from Jack's Garden Store and the delivery company were both excellent. 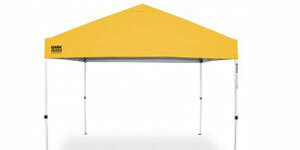 The gazebo is of very high quality considering the price. I would not hesitate to recommend this product. Excellent service, great communication and arbour was just as expected. Most certainly managed customer expectations highly. At Jack's Garden Store our focus is on providing quality products at a fair price with the best customer experience possible. If you need something let us know and if it's within our power we'll make it happen. We believe our customers are our best ambassadors and their testimonials speak for themselves. 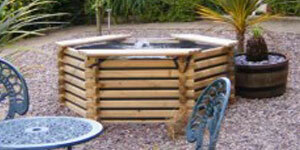 Jack's Garden Store sells a wide range of quality garden structures to enhance your garden and give it that 'wow' factor. 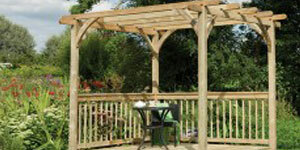 Whether you're wanting an arbour or pergola to create your own little garden haven or a wooden gazebo or garden shelter for a spot of alfresco dining, Jack has a fabulous range to choose from - you'll be spoilt for choice! 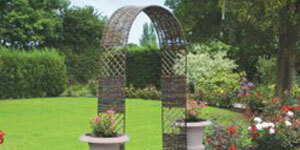 Or why not think about creating a stunning focal point in your garden with an arch or a fountain. 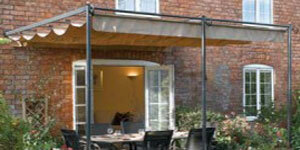 A Gazebo – Enjoy Being Outside Inside! 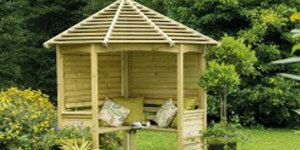 What is a Garden Arbour? 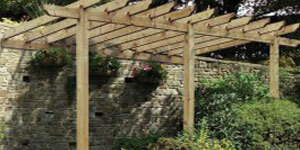 What is the Difference Between an Arbour and a Pergola?